We take the pleasure in introducing our Star equivalent Hotel Daawat Palace. 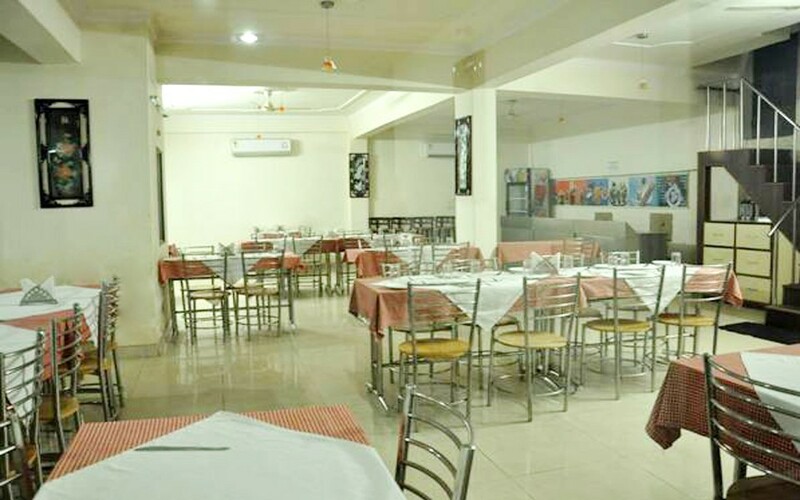 Hotel Daawat Palace is located at Purani Mandi, Fatehabad Road, Tajganj , Agra. (2 MINUTE WALK IN DISTANCE FROM TAJ GATE ).It is managed by professionally qualified & experienced staff to make your stay secure & comfortable. Hotel Daawat Palace is One of the Most Popular hotels in Agra. The Hotel has an aesthetically decorated huge lobby , a help desk & 25 nicely decorated, spacious AC Rooms, Multi cuisine Restaurant , Business center, Cyber cafe, Terrace garden, Roof top (Taj view) Bar Be Q restaurant. Laundry Facilities, Backup Generator, Security Guard, Travel Counter, Currency Exchange, Parking, Room Service, Doctor on Call, Airport Transportation, Breakfast Services. H/C Water, Toothbrush/Razor on Request, House Keeping, Wakeup Calls, Cable/Satellite TV, Air Conditioning Room, Iron/Ironing Board, Attached Bathroom, DVD Player. User reviews for "Daawat Palace Hotel Agra"